Graphene has been attracting attention due to its exciting properties and countless ideas for applications benefiting from those properties have been thought of; However, it is rightfully claimed that graphene has yet to transform an actual industry or become a household name. 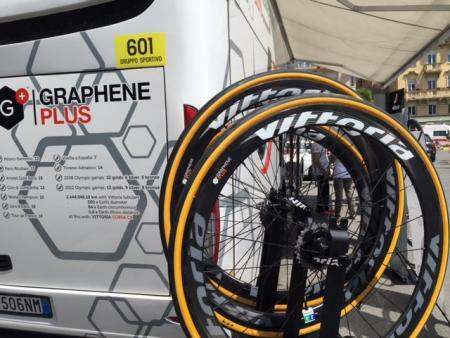 With that said, graphene seems to be slowly but surely entering the market in all sorts of products. In this post, we list 10 products already commercially available that contain graphene - and these are not all of them. Hopefully this is just the beginning and many more applications will follow. UK-based Dassi Bikes offer what they refer to as "the world’s first bike made with graphene". The Dassi bike frame is said to contain 1% graphene throughout six layers underneath the carbon surface layer. The frame weighs just 750g and engineers predict that sub 400g frames could be achievable. 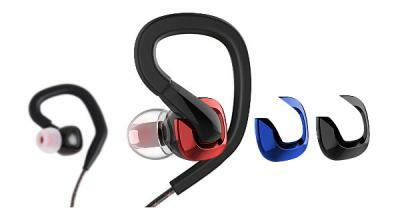 China-based FiiO Electronics launched in-ear monitor earphones, the FiiO F3, that make use of a graphene-enhanced diaphragm driver. FiiO says that graphene enabled the development of a thin and flexible driver, which enables the F3 to faithfully reproduce music with a clean, rich, yet transparent high-fidelity sound. The FiiO F3 is shipping in China and in the US. Applied Graphene Materials announced that it has supplied its graphene material for use in the production of a range of fishing rods, made by UK's Century Composites. Century has unveiled a new range of fishing rods containing the AGM's GNPs, sold under the brand Graphex. It is available on Amazon starting at $469. Colmar, high-end sportswear company, markets a collection of ski jackets containing the Directa Plus' graphene. It was explained that the key benefit of incorporating G+ is that it enables the fabric to act as a filter between the body and the external environment, ensuring the ideal temperature for the wearer. Due to the thermal conductive properties of graphene, the warmth produced by the human body is preserved and distributed evenly in cold climates, yet dispersed in warm climates, and allows an even body temperature during physical activity. Fabrics treated with Graphene Plus are also electrostatic and bacteriostatic. If placed on the outside of the garment, such as with the ski suit worn by the French national ski team, G+ reduces the friction with air and water to enable top sporting performance. The ski jackets are available in different styles and prices, for example the Raptor sells for $998 on Amazon. Team Group, memory solutions and accessory provider, announced the addition of new products to their existing T-FORCE gaming line of products. 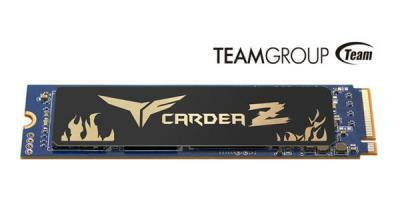 Among the new products is the T-FORCE CARDEA ZERO M.2 PCI-E solid-state drive, featuring graphene copper foil cooling on the SSD module allowing the SSD to maximize cooling benefits from both natural passive cooling and directed air cooling via fans to deliver excellent heat dissipation. Utilizing graphene provided by Nitronix and designing combinations of different proportions of graphene and copper foil, the patented graphene copper foil heat spreader was reportedly achieved through stringent multiple verification. It offers excellent thermal cooling effect even in a closed space. 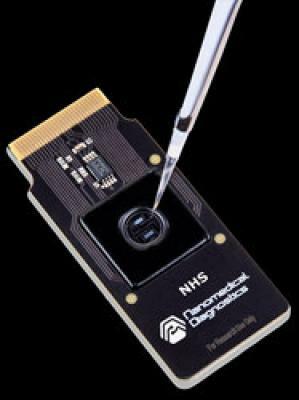 Nanomedical Diagnostics launched its graphene-enhanced NHS Agile biosensor chip. The new chip reportedly reduces the number of steps needed to gain kinetic binding data for a wide range of molecules, including small and large molecules, peptides, proteins, and antibodies. NHS biosensors are designed for use on the company’s Agile R100 label-free personal assay system. Agile R100 is said to be the first kinetic characterization platform built with proprietary Field Effect Biosensing (FEB) technology, a breakthrough electrical technique for measuring biomolecular interactions in real-time. 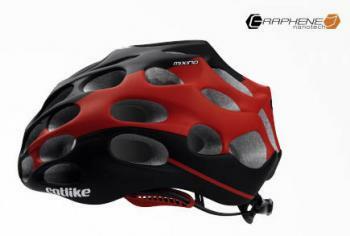 A Spanish sports equipment company called Catlike uses graphene to produce cycling helmets, in a line called Mixino. The company states that graphene allows improving the helmet's safety features, as well as reaching minimum volume and weight and increase ventilation. The Mixino helmet has a robust inner skeleton, made in the shape of an aramid skeleton (Aramid Roll Cage) which has been treated with graphene in its polymer matrix. This increases the entire mechanical performance and improves impact energy absorption. The helmets sell for $149-299. McLaren, the British racing team/supercar manufacturer, has announced the new RM 50-03 Tourbillon Split Seconds Chronograph Ultralight McLaren F1. The watch's mechanism weighs only 7 grams and the entire watch just 40, with the help of a graphene, titanium and carbon fiber composite. It was reported that McLaren's Applied Technologies division has been working with the National Graphene Institute on applications for graphene, out of which high-end watchmaker Richard Mille (working in collaboration with McLaren), constructed the three-part case, with the titanium and carbon-fiber movement at its center. 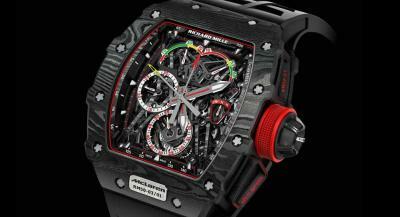 It seems that only 75 pieces of this watch will be made, each selling for $1 million. excluding tax.